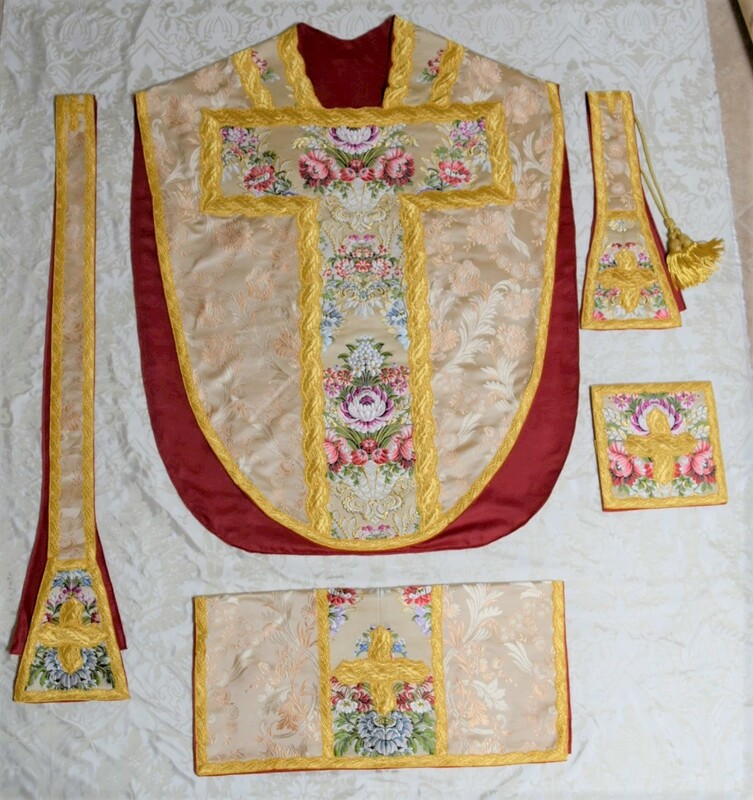 As they have noted, they not only do their own vestment design, they also sell antique vestments as well as other antique liturgical items, from rare liturgical books (missals, breviaries, etc. ), to reliquaries, altar crosses and candlesticks, and much more. 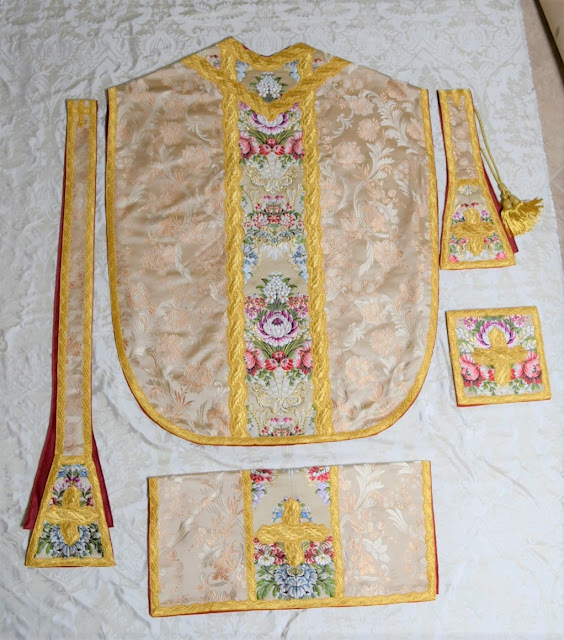 In fact, this was what first drew my attention to them before I even realized they did their own vestment design. In that regard, even if you are not in the market for vestments you may still want to bookmark their site for their other interesting liturgica. The particular set I wanted to show to you today is a five piece set they call their St. Philip Neri chasuble. This particular cut sits part way between the more typical, narrower baroque cut of chasuble and something like the Borromean chasuble. 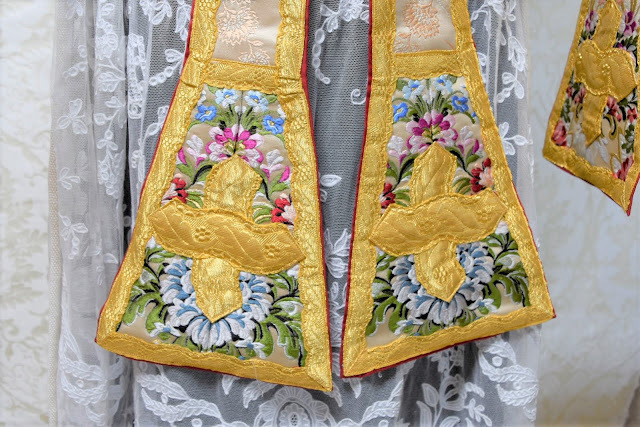 It features an Italian orphrey pattern with t-cross on the front of the chasuble and a single orphrey on the back. These are decorated with an ornamental silk floral textile that also appears on the stole, maniple, chalice veil and burse. 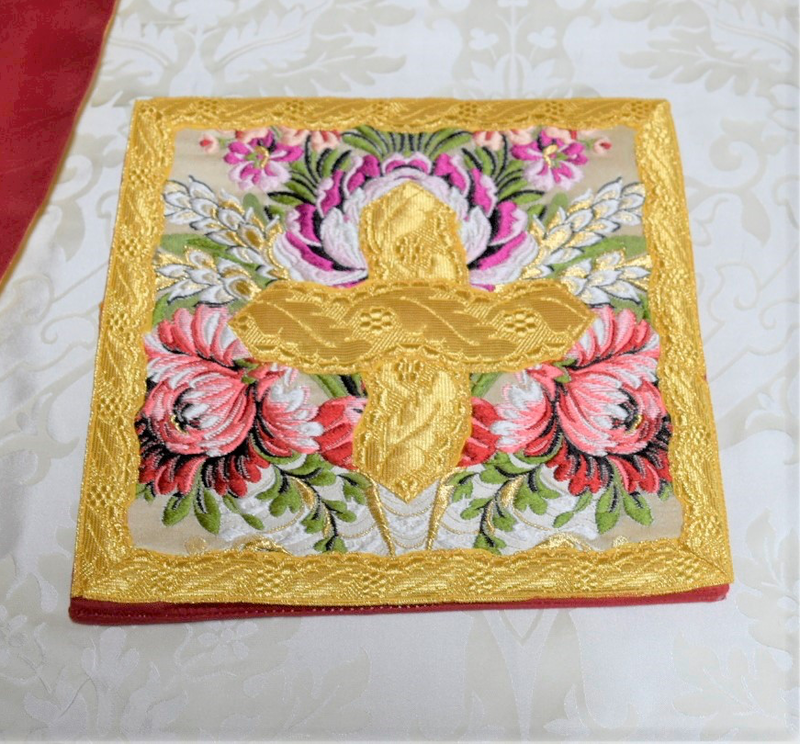 A lovely dark red lining compliments the cream silk brocade. 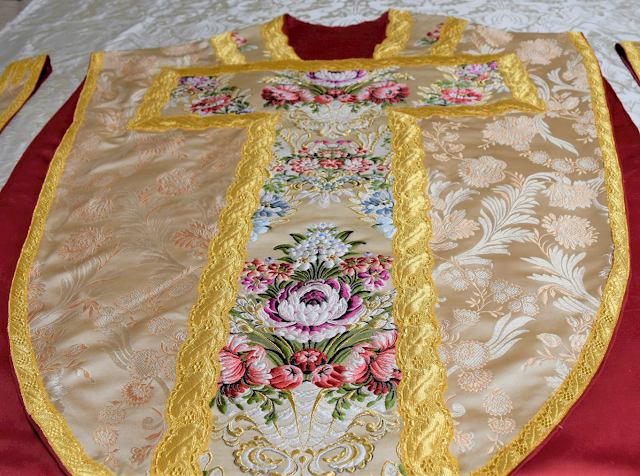 Another view of the front fo the chasuble. 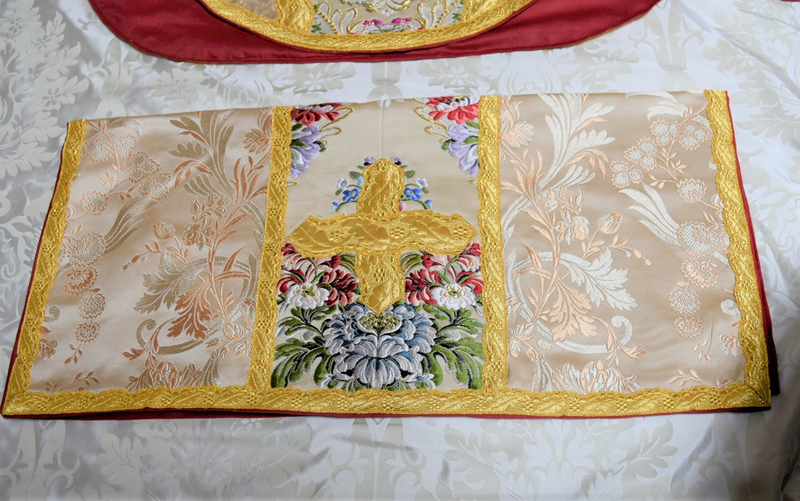 This gives a slightly better view of the floral silk and its textures. Since the era of Pope Benedict XVI we have seen greater exploration of some of the other historical cuts that sit between the mediaeval gothic and classic baroque. For my part I welcome this exploration and for those who are looking for something beyond the fuller shapes which have predominated these past 50 years but who do not find the classical baroque shapes suits them personally, cuts such as this may well be something you may wish to consider. The same may also be said for those who would like to explore the tradition of 18th century floral textiles but who wish to moderate that influence somewhat. Head on over the Paramentica to take a look at this and some of their other offers.